One interpretation of the Parable of the Talents is that the master is an employer who hired three workers and paid them different amounts according to their ability. The first two workers were productive, doubling their employer’s investment. The third didn’t like the employers pay structure, and chose not to work, giving up a potential paycheck. In the age we live in today, the era of big government, government is the new master. An oversized government takes the eight talents from the employer in taxes, before it can employ anyone, redistributes one talent to each of the unemployed, and then squanders the rest on worthless thingamajigs. In the following year, bloated government returns, and demands of the employer another eight talents to do it all over again. Eventually the employer moves to Costa Rica to get away from its oppressive master, and big government goes bust. In the first school of thought, the words of former President’s John ‘Calvin’ Coolidge, Jr., John F. Kennedy, Ronald W. Reagan, and George W. Bush forever live, reminding us that high income taxes are the single largest barrier to job creation and economic growth. And if we don’t lack job creation and economic growth today, then what do we lack – higher taxes and more social welfare benefits? Perhaps we should listen more to reasoned voices from America’s past, and pay less attention to the failed Western European influenced bloviating of the present. “There is a limit to the taxing power of a State beyond which increased rates produce decreased revenue. If that be exceeded intangible securities and other personal property become driven out of its jurisdiction, industry cannot meet its less burdened competitors, and no capital will be found for enlarging old or starting new enterprises. Such a condition means first stagnation, then decay and dissolution. There is before us a danger that our resources may be taxed out of existence and our prosperity destroyed.” ~ Calvin Coolidge, January 8, 1920. Address to the General Court beginning the 2nd year as Governor of Massachusetts. “The largest single barrier to full employment of our manpower and resources and to a higher rate of economic growth is the unrealistically heavy drag of federal income taxes on private purchasing power, initiative and incentive.” ~ John F. Kennedy, Jan. 24, 1963. Special message to Congress on tax reduction and reform. The radical left believes that if the servant who was given one talent had instead been given two or five, he might have been as productive as the others. Although some would think this a possibility, it wasn’t likely, for in the parable, each was given an amount according to his ability. The worthless servant simply proved himself to be lazy and wicked. But instead of casting him out into the darkness, the radical left, which has become a bastion of the lazy and wicked itself, believes it is the responsibility of the productive to provide sustenance for those unwilling to work. The moral of this story is that when the free market is given liberty to place money into the hands of the fruitful, it benefits all who are willing to participate. So politicians who constantly clamor for higher taxes on more productive persons, including corporations, have it backwards. The lesson teaches us that when resource allocators are allowed to direct their own capital at will, jobs are created and the economy grows. It also teaches us that when wicked and lazy people are given an opportunity to succeed, they instead run and hide. The point is not that we are a nation of wicked and lazy people, but rather that income taxes are still, after all the lessons learned throughout American history, way too high. Yet the government demands more. Today, the minimum income tax rate in the United States is 10%. But add to that 13.3% in mandatory Social Security and Medicare taxes, and lowest rate is really 23.3% (25.3% in normal years) for most Americans. Even the poorest working person in America has 13.3% of their income confiscated from each paycheck (7.65% of which is paid by their employer). Compare this with Coolidge’s bottom tax bracket rate of 1.5% in the mid 1920’s, an era which predated the imposition of Social Security and Medicare taxes, and you begin to understand the dilemma. In fact, the top tax rate in the 1920’s was 25.0%, which is less than the 28.3% paid by most in the middle class today (a 15% income tax, plus 13.3% in Social Security and Medicare taxes). These days, the American middle class muddles along after handing around 30.0% of its income over to the government, while those who are more productive are forced to give up as much as 45.0%. Yet the government demands more. If you take a moment to contrast the minimum income tax rate of 1.5% in the mid-1920’s with today’s minimum rates of 13.3% to 23.3%, you will understand the real disparity. Looking back through American history, it is clear that we suffer not so much from income disparity, as from an income tax disparity. In other words, we are much poorer than our ancestors. In the mid-1920’s, our great grandparents worried about paying income tax rates ranging from 1.5% to 25.0%, while today we are forced to contend with taxes ranging from 13.3% to 45.0%. We worry about how much the government will confiscate beyond a virtually guaranteed minimum rate of 13.3% of the first $106,800 in earnings, which is 886.7% higher than our ancestors lowest tier. As things stand today, the government isn’t giving us anything; instead it is taking our talents and burying them under a pile of debt. So by lowering income tax rates across the board, the government won’t be giving anything to anyone, but rather proportionally reducing the amount it already takes from everyone. For example, many on the radical left routinely spout off, that since Exxon Mobil Corp made $42 billion in profits last year, more should be taken away from it and given to the government. While it’s true that Exxon Mobil earned net after-tax profits of $42.2 billion in 2011, the company actually made a profit of $146.7 billion before taxes. 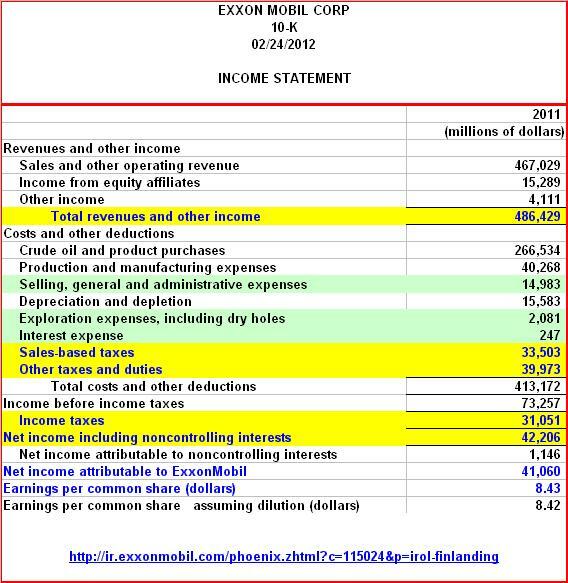 That is to say, once you deduct out $33.5 billion in sales based taxes, $40 billion in other taxes and duties, and $31 billion in income taxes, it was left with $42.2 billion (see income statement below). In effect, Exxon Mobil paid 71.2% of its pretax profits, or $104.5 billion, in sales based taxes, other taxes and duties, and income taxes, before it was able to take home 28.8%, or $42.2 billion. If 71.2% isn’t enough for left-wing radicals, then how much is enough? Is profit a dirty word? Exxon Mobil is a producer, and the more leeway granted to the productive, the more wealth is created. If the government takes even more capital away from producers like Exxon, who would radical left-wingers propose it be given to? Is there another entity around that can turn higher profits than Exxon Mobil? 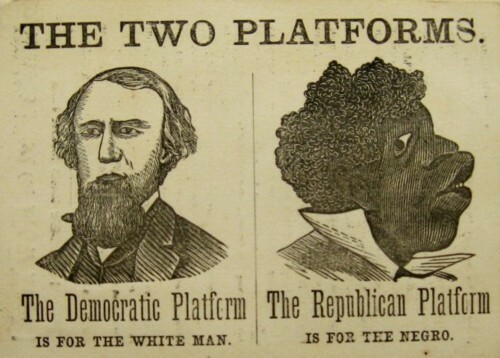 Left-wingers have it all backwards. The radical left surmises that we should take more away from Exxon and give it to the government, so that the government may in turn give a small penance to nonworking, nonproducing members of society, and squander the rest. They propose to take away more of Exxon Mobil’s resources and incentives because the company and its industry return large profits. But the morally correct thing to do is to take more away from the nonproductive, like our debtor-government in Washington, DC, and let companies like Exxon Mobil go gangbusters. Would you rather invest your money in Exxon Mobil’s stock, which is paying a better than $8 per share dividend, or in the U.S. Government, which is currently running a debt per U.S. taxpayer of $139,000 (subject to increase each second)? This should be a no-brainer. ← The Real Jobs Deficit | Moving in the wrong direction.